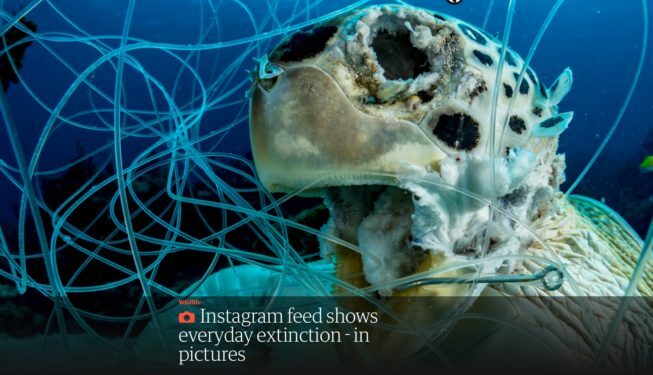 Everyday Extinction is a new Instagram feed that aims to highlight the causes, effects and solutions to the 6th global biodiversity extinction crisis. I founded this feed in late 2017 and am excited to see the feed grow and attention being drawn to this issue in the mainstream media. The latest publication to feature the feed is the UK’s leading national newspaper, The Guardian. If you’d like to learn more about this initiative which involves photographers, scientists and conservationists, please visit the feed on Instagram.